Do I Need An Estate Plan If I Don’t Have an Estate? Estate planning can sound intimidating, but it’s something you should consider if you’re a bit of a control freak. Just kidding! Estate planning is for everyone and can help protect your family, save taxes, provide for children and grandchildren, and ease transition of ownership if you own your own business. 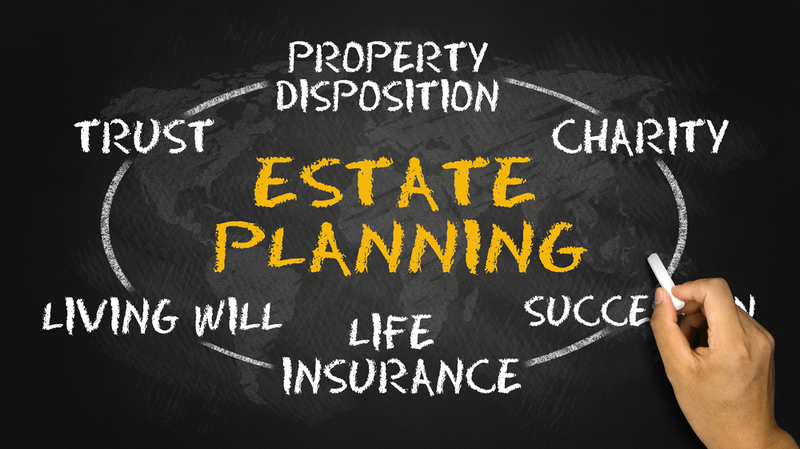 Estate planning is more than just writing a will to state your intentions. Smart planning can significantly reduce the tax burden passed on to your beneficiaries. It can clearly define your intentions regarding the disposition of your assets after you pass, and provide peace of mind for your family and loved ones. According to a recent Gallup News Survey, almost 60% of Americans die without a will. This can cause stress and confusion for family members, and it almost certainly means that beneficiaries are paying more in taxes than they have to on the assets they inherit. While estate planning can get complex and intricate, particularly, when there are numerous assets and individuals to consider, there are simple steps you can take to put an estate plan in place for the long-term benefit of your family. Establish a Power of Attorney (POA), which is a legal document granting a designated person to make financial and/or medical decisions on your behalf. This is important in case you become incapacitated. Having a Living Will, which is different than a POA, allows you to clearly state your preferences for medical intervention in end-of-life situations. Make a Will. This should be a no-brainer, but remember, most people don’t take this crucial step. Your Will is the overriding document as to how you want your assets distributed. It can also provide for the care for your minor children and pets. Once these three steps are taken care of, it’s time to call in the professionals. Simple estate planning can end here, but to reduce estate taxes and protect assets from creditors or lawsuits you need to work with an attorney who can craft legal documents outlining your intentions. It is also advisable to work with a financial advisor who can help make your investment planning tax efficient for both you and your beneficiaries. If you own your own business or want a specific plan of succession in place, you can coordinate this in your estate planning process. Keep in mind that you may need separate documents for personal and business assets. Don’t forget to review and update your documents every year to ensure that any life changes or major financial events are properly reflected in your plans. Estate planning doesn’t have to be complex or expensive, but it does require time and organization. Call Mooney Lyons today to discuss how we can help you get started. The greatest benefit of estate planning is the peace of mind that comes from knowing you have provisions in place to protect your loved ones. Content is this material is for general information only and not intended to provide specific advice or recommendations for any individual. Mooney Lyons and LPL Financial do not provide legal advice or services. Please consult your legal advisor regarding your specific situation.